Works on all 1996 and newer OBDII compliant vehicles: Gas/Diesel/Hybrid/LPG! This innovative 4-in-one automotive computer from Autel is exactly what is needed for real-time engine monitoring, failure prevention and trip tracking. 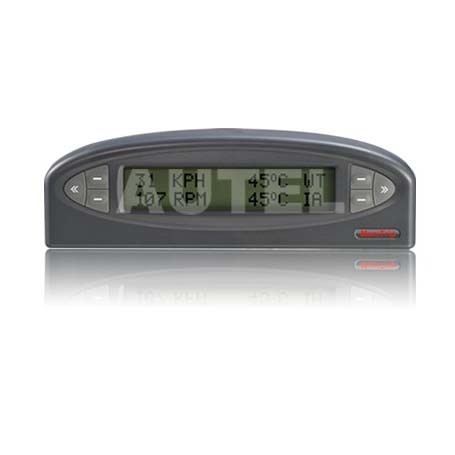 The compact and intelligent gadget includes 4 most useful modes: trip computer, digital gauges, scan tool and vehicle black box. 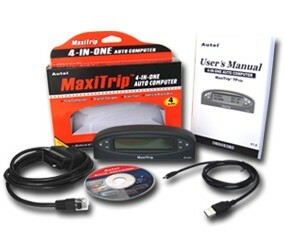 The MaxiTrip™ TP100 is a compact automotive computer designed to monitor information about your vehicle in real time. It will display such useful information as average trip MPG, tank MPG, average speed per trip, average speed per tank of gas, miles to empty, miles driven on tank, and more. Easy to install and 1-2-3! ●　Follow the menu options to operate. We hope it arrive on time but since this is an international delivery, shipping time will be highly depended on the courier company and local customs/duties. Thank you for your understanding.